This is a completely unique, one of a kind painting of your pet! 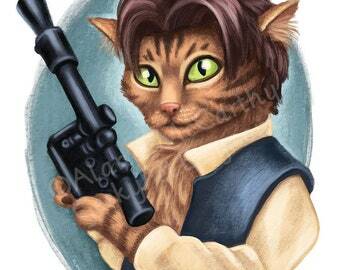 EXTRAS - Detailed backgrounds, detailed accessories and additional pets quoted per order - msg me! EXTRAS - Larger sizes than 8x10" available at additional cost - msg me! 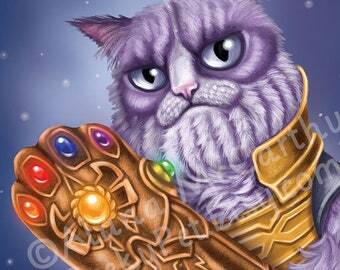 Is your cat a superhero? Does he swing from the drapes like Spiderman? Maybe your dog seems to take flight when she jumps? 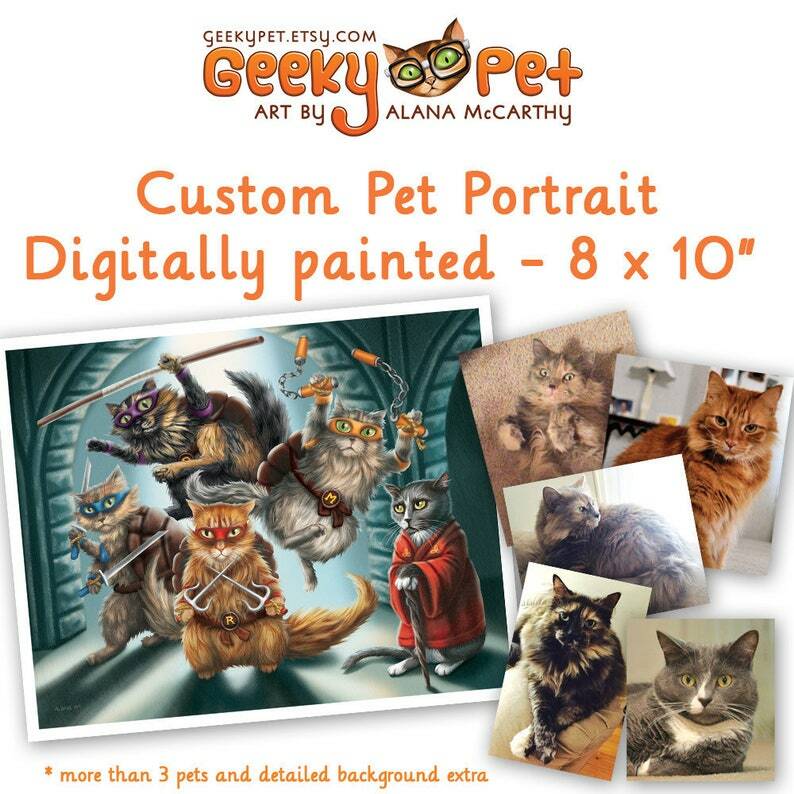 Like my GeekyPet portraits but would love to see your own kitty or puppy in an image? Now is your chance! 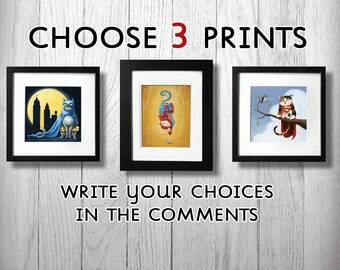 Just order a custom portrait! Portraits are painted digitally in Photoshop. They are printed as an 8x10" giclee print - featuring archival inks and paper tested to last 70+ years. 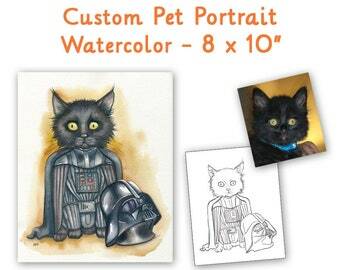 All portraits feature your pets dressed in your choice of character's clothing, with a simple coloured background. 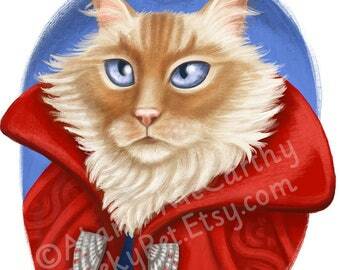 Additional pets and background details will add to the price of the portrait. Message me for a quote. STEP 1 EMAIL: When you place your order email me at art [!at] alanamccarthy.com Attach a couple clear photo references of your pet and write down what you would like me to paint them as. Maybe describe their personality and any special traits and features. STEP 2 SKETCH: I email you back with a sketch or two of my ideas. You are free to make up to 3 changes, or if you like it, tell me to go ahead. STEP 3 FINAL PAINTING: When the painting is complete I will scan and email you a low res file. If you're happy with it I'll pack it up and ship it away to its new home. TIMING: Please allow at least 3-4 weeks for this whole process to unfold. I work on a first come, first served list system and sometimes get backlogged - especially around the Holidays. I will let you know my schedule when you order. Please let me know if you need it for a special occasion. I'll do my best to let you know my schedule and speed up the process. You're not allowed to use it for commercial use, but are more than welcome to post it to blogs and social media as long as you link back to my Etsy shop, facebook.com/geekypet or instagram.com/geekypet Share the love! SHIPPING: It will be lovingly packed flat in a hard cardboard mailer to ensure it gets to your door undamaged. It will ship as a small package and have tracking as well as insurance. TAXES: 13% HST will be collected for residents of Canada. 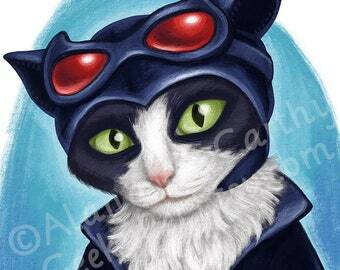 I purchased a custom watercolour for my friend’s birthday - her cat as Harley Quinn. The artwork turned out amazing! Alana is not only talented but easy to work with, responding to questions and feedback very fast. The process was made easy and the artwork arrived quickly and came in cute packaging too! I couldn’t have asked for a better experience! I highly recommend Geeky Pet!